Join a Group and Sightseeing Tour of Seville, Visit the Jewish quarter, Royal Alcazar, Cathedral - Giralda, Plaza de España, Bullring, Macarena Basilica and River Cruise, including: Local Guide, Tickets (Bullring and River cruise) and Transport. 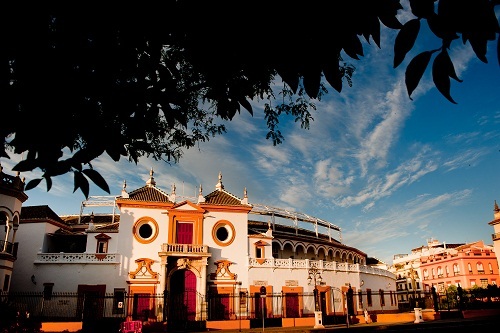 We will also discover the most emblematic monuments of Seville by luxury minibus: the Santa Cruz, the famous Jewish quarter: a labyrinth of narrow streets which lead to the gorgeous Plaza de los Venerables. 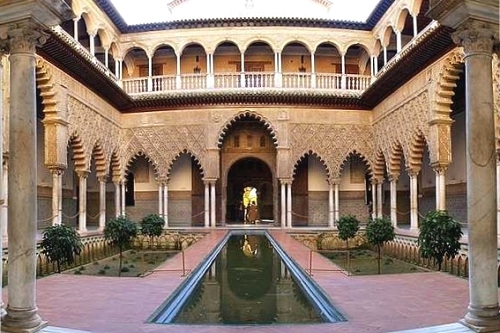 Visit the Royal Alcazar, World Heritage and one of the most remaining examples of Mudéjar architecture, the Cathedral-Giralda of Seville, the largest gothic cathedral of the world. We will continue the visit with a Sightseeing tour, admiring monuments such as the University, the Old Tobacco Factory, San Telmo Palace, The Golden Tower, Isabel II Bridge and the Macarena Basilica. 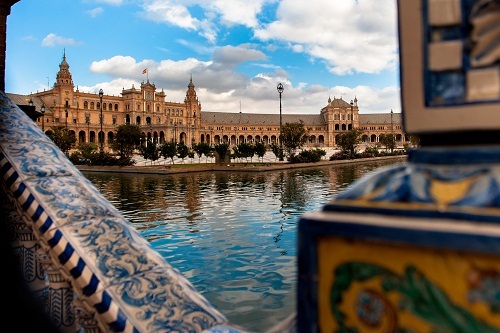 Visit the Plaza de España, the centerpiece of the 1929 Iberoamerican Exposition. The tour end in Cathedral. Free time for lunch. In the afternoon we will visit the Bullring with the taurine museum of the Real Maestranza. 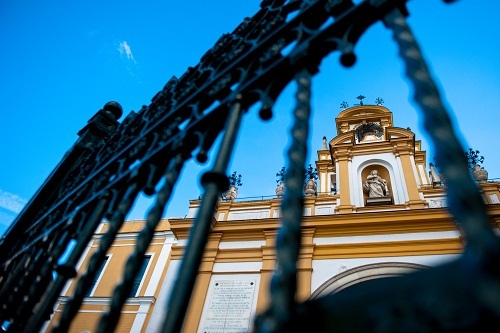 We will continue by minibus with a lovely sightseeing tour of the famous Quarter of Triana, old sailors’ and potters’ neighbourhood and we will visit the Basilica Macarena. 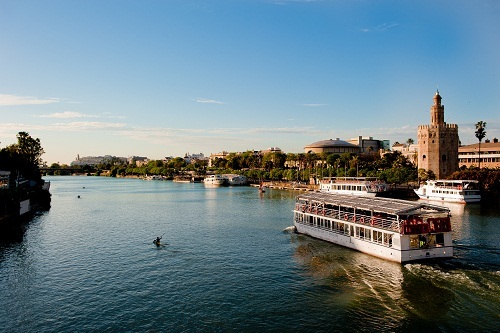 We will end with a wonderful boat trip along the Guadalquivir River. Sundays and religious holidays visit to the Cathedral is replaced by another monument. Return Point & Time: Drop-Off at your hotel in Seville city center or meeting point assigned by the agency / The tour will finish at 6:30 pm approx. 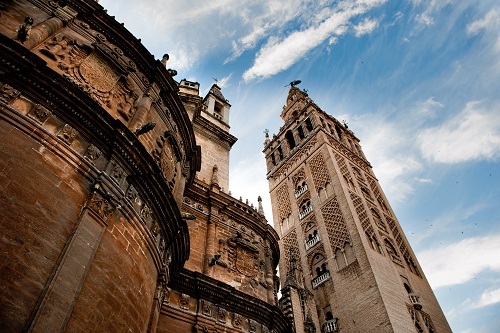 Sightseeing Tour of Seville + Guided Tour Barrio Santa Cruz, Plaza de España, Alcazar y Cathedral.